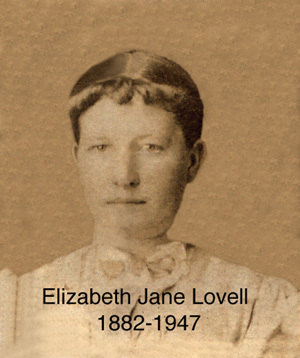 Elizabeth Jane Lovell, daughter of Joseph Hyrum and Leah Ellen Radford Lovell, was born 13 March 1882 in Oak City, Millard, Utah and died 18 March 1947 at Ririe, Idaho. 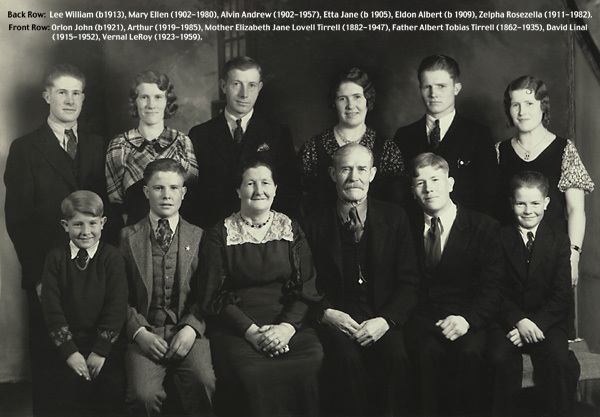 Albert Tobias Tirrell was born 1 November 1862 at Salt Lake City, Utah and died 23 July 1935. They were married 18 September 1900. Eleven children were born to this marriage.